Listen and download the Main Street Vegan Podcast on Unity Online Radio, or listen and subscribe on Stitcher or Apple Podcasts. A new book from Dr. Barnard is always something to celebrate and this one is a quick-read keeper: The Vegan Starter Kit. The Vegan Starter Kit is a practical guide that makes eating vegan simple and fun, whether you’re hoping to improve your health, help the environment, or save animals. New York Times best-selling author and nutrition expert Neal Barnard, M.D., provides a step-by-step guide on how to get started, including thorough guidelines on ensuring complete nutrition, quick-reference charts for nutritional sources of calcium and protein, tips for modifying recipes, and examples of quick, easy, and delicious meals. Blast from the past! ~ Dr. Barnard has shared his expertise with us on several occasions. Listen to his past appearances here: Feb. 15, 2017, Jan. 21, 2015, and June 26,2013. A shoutout to our sponsor, Complement. Developed by vegan dietitian Dr. Pamela Fergusson, and the NoMeat Athlete, Matt Frazier, Complement enables you to get your vitamin B12, vitamin D3, and the essential Omega 3 fatty acids (DHA & EPA) in a totally vegan form that you just spray into your mouth once a day and know that your already great diet now has the full complement of essential nutrients. Click here for more info and to order. Use the code MAINSTREETVEGAN for a 10% discount. 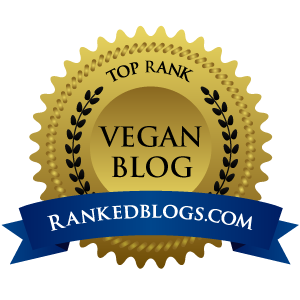 Main Street Vegan Podcast wins Top 25 Vegan Podcasts on the web award. Click here to learn more.